We are one of the leading Service Provider, Distributor, Exporter, Trader & Importer of Bakery Processing Line. 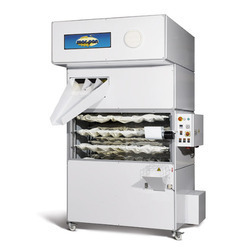 This machine is essential complement to the modern equipment of each bakery. Simple aesthetics and construction, but sturdy; thanks to its strong structure of stainless steel, it guarantees hygiene and long duration. 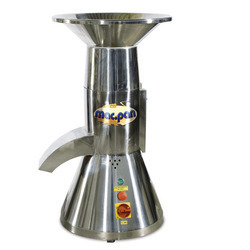 The grinder unit of stainless steel, allows the selection different grinder granulated sizes. 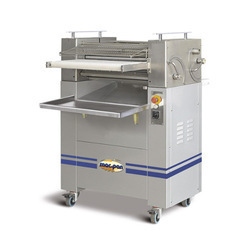 Specifically designed for bakeries, pastry shops and confectioneries. 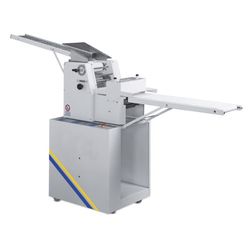 The neater arms system oxygenates the dough, obtaining very good products. Sturdy and robust construction of thick stamped steel, it ensures maximum durability and silent working. 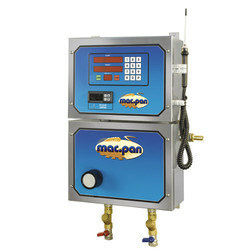 All mechanical parts in movement are in oil bath. Bowl and arm are made of special stainless steel. For special productions in pastry shops, beater arms height can be adjusted. 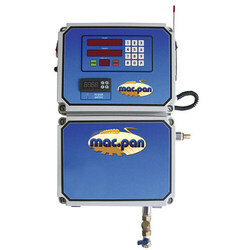 By keeping in mind the universally accepted market standards, we are exclusively engaged in offering Water Doser Mixer. 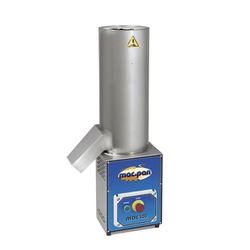 This doser mixer is developed from quality proven components in adherence with the set norms. 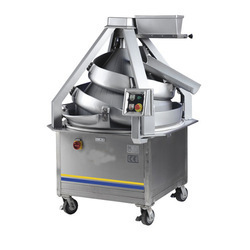 In addition, our clients can avail this doser mixer in several specifications in accordance with customer’s requirements. 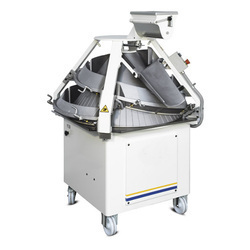 Offered doser mixer is highly appreciated around the globe owing to its sturdy design & performance. Backed with a team of immensely creative engineers and adroit professionals, we are involved in providing Water Doser Mixer. 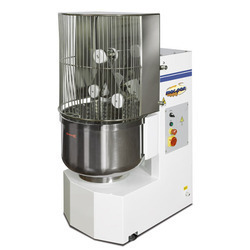 The given mixer is precisely designed by vendor’s professionals utilizing superior quality components and by following set industry guidelines. 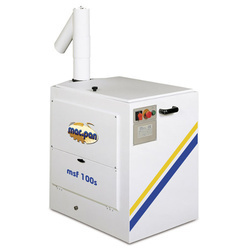 Our mixer is acclaimed in the market owing to its features like longer service life and reliable functionality. 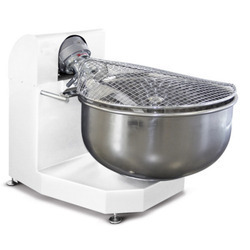 Moreover, this mixer is carefully tested on international quality standards by experts to assure its flawlessness. 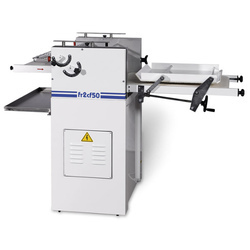 The 4 cylinder moulding machine, FR4C inoX with a standard width of 550mm (optional 750 mm), is a versatile and robust machine. 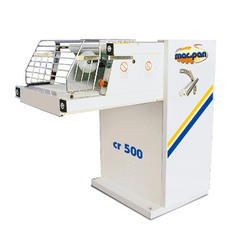 its structure is completely made of stainless steel and all them moving parts are mounted on ball bearings which make the molder a solid and silent machine. 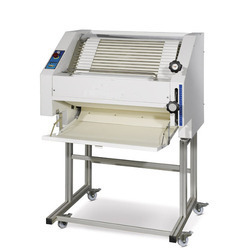 it is also versatile as it can roll up 30 gr. and 2,5 kg pieces of any type of dough without causing any tear. 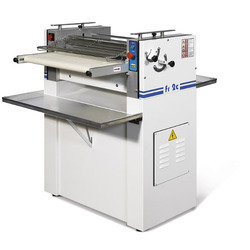 The standard equipment is made up of: in-feed belt, standards compliant safety guard, a device for the return of the formats, two small benches, a device for the blocking of the upper table-holding sheet and wheels. 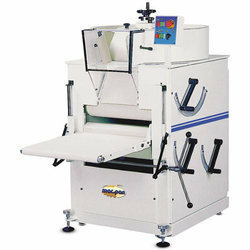 This machine has been designed and built in accordance with modern criteria of rationality and functionality. It is made of duraluminium and steel; the rolls are ground, chromiumplated and adjustable. 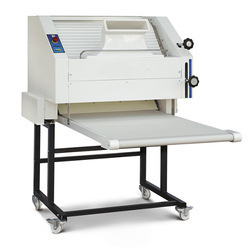 The overall dimensions are minimal to allow the machine to be easily installed in any small factory and it is fitted with wheels to facilitate its movement. 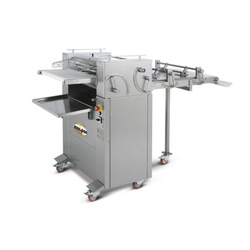 Looking for Bakery Processing Line ?